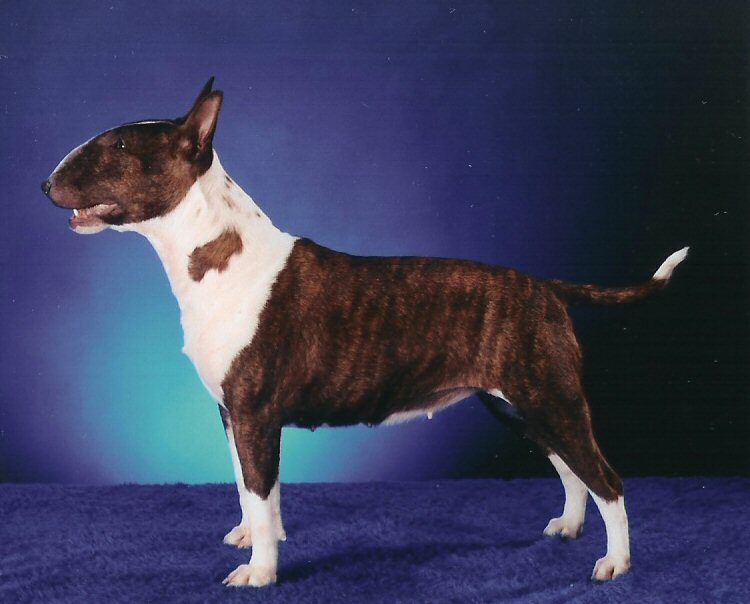 The Miniature Bull Terrier is about half the size of a standard Bull Terrier, and is known its sense of humor and clownish antics with a cheerful yet outgoing fearless disposition. They are loyal and grow attached to their owners. They make a great family dog when properly trained and socialized. Children should know to treat the dog respectfully. They may not get along with other dogs, and tend to be male to male aggressive. 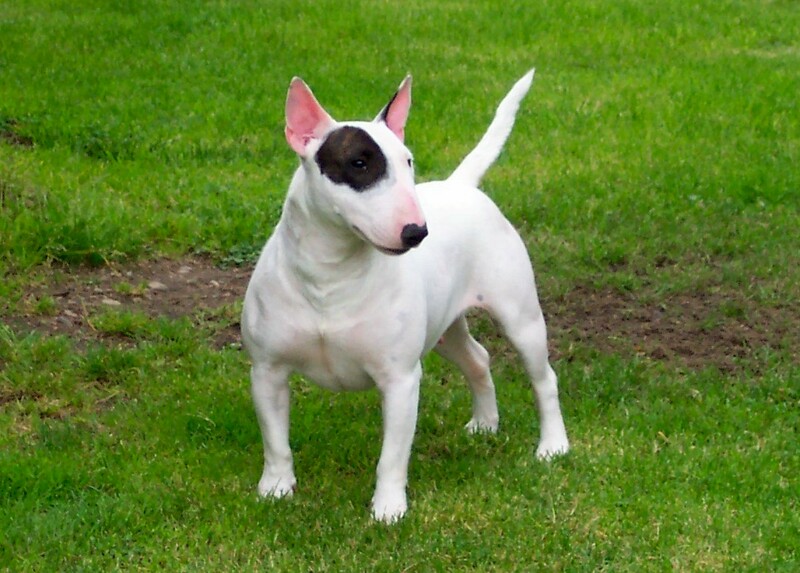 The Bull Terrier is very energetic and likes active companionship. Left alone for long stretches it can become destructive. Always walk on a leash because they can have a tendency to “pick a fight” with dogs it meets. Don’t overfeed or under-exercise. Smooth Minimal Male to male agressive. High energy. Active companionship.